If you are a business owner, you probably have a ton of files that you store, send and receive each day. Cloud computing is a great way to provide easy shared access to files when desired and enhance office security. It is also a great solution for storage. Overall, a cloud provider will help your business experience advantages in cost, scalability and accessibility. 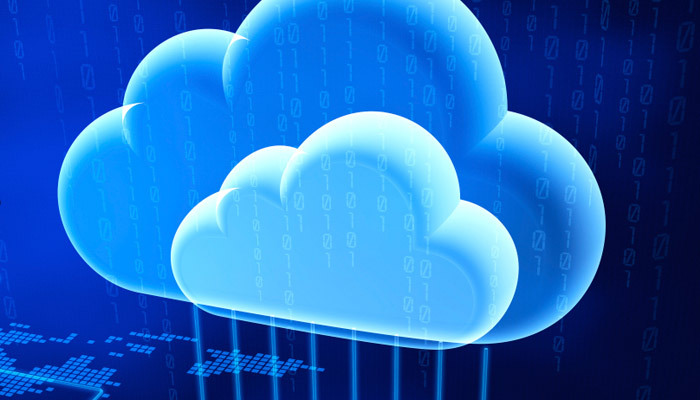 If you are interested in finding a cloud provider for your business, look no further. This post will present you with the top cloud providers for business. Continue reading below. There are certain elements you need to consider in your search for a cloud service provider for optimal logistics management. One thing to research closely is a cloud provider’s risk management policy. Risk management policies are the only protections you have to assure your cloud provider is keeping your data safe. Be sure to inquire about them with potential providers. If you consider this detail in your search, you are sure to find the best cloud services that meet your security needs. The first cloud provider on our list is VMWare. If you are familiar with the cloud computing industry, you may be surprised by this choice. VMWare does not actually provide cloud computing infrastructure. However, this company has recently made connections with some very useful titans in the industry. 2016 and beyond are shaping up to look very good for the company, and for you, if you choose to use them. Although VMWare is not a one-stop-shop, so to speak, they can act as a very helpful middle man. Thanks to the new partnerships they have formed, they will be able to provide you some of the top services for cloud computing. Consider VMWare for your cloud provider, if you are a bit of a risk taker. Google Cloud Platform offers developer products and cloud technologies hosted by, who else, Google. This cloud services provider is an excellent choice for business owners who are developers wanting a streamlined cloud ecosystem for their development and deployment processes. However, Google Cloud is not a managed cloud platform, so it may not be for everyone. If you just need to perform simple, cloud-based tasks to secure business information, this may not be the best cloud computing service. For business owners in development though, Google Cloud Platform is one of the best cloud computing solutions available, so definitely give it a look. Microsoft Azure is another cloud provider on a list that may come as a bit of a shock. However, in recent years Microsoft’s cloud computing services have grown at an incredibly rapid pace. Their growth has outpaced almost all their competition. So what does this mean for you? Well, while bigger is not always better, it is in this case. Microsoft’s growth as a cloud provider shows that they have made incredible strides in improving their services. In fact, this is something many users have mentioned in their LogMeIn review. The company continues to pour money into their cloud services division. That will translate into better services for you. If you value name recognition and have faith that Microsoft Azure will continue their upward trend, you may want to give them a chance as your cloud provider. Joyent is a top name in the cloud computing and data as a service industry. The is the company that powers Dell’s cloud, so you know it must be good. Joyent has consistently been ranked as a top ten cloud provider across many different rankings for a number of years. If you value consistency, Joyent is probably the best cloud provider for you. If you only want the very best of the best, Joyent does not quite fit that role. However, they are consistently providing great services and have grown to become a top name in the cloud computing industry. Rackspace makes the list because of the flexibility they provide. Rackspace is a cloud provider that has many differently services and choices to offer you. In addition to offering many options, they also consistently rank as one of the best cloud providers in the industry for businesses of all sizes. No matter how large or small your need, Rackspace has a solution for you. For those of you that value a plethora of choices, Rackspace is definitely the cloud provider you’ve been looking for. Amazon Web Services is almost undoubtedly the best cloud provider available, in addition to offering life-changing same day delivery. Amazon has been proven to have the least amount of downtime versus top competition. Their services are the best in the industry. However, the best will definitely cost you. If price is no object, Amazon Web Services is the best cloud provider to choose for your business. However, if you are trying to work on a budget, you may wish to look elsewhere. Amazon Web Services has been ranked time and time again as the number one cloud provider available. Conduct further research if you would like to see their list of services. No matter what size your business is, it can, without a doubt, benefit from a cloud provider listed above. If you value having a plethora of choices at your fingertips, choose Rackspace. If money is not object and you only want the best, Amazon is the one for you. VMWare and Microsoft Azure are probably only viable options for the risk-takers out there. If you are the furthest thing from that, Joyent is a great cloud provider that consistently performs well. Conduct your own research to fully prepare yourself for the decision you are about to make, just as you would when you are considering serviced offices. Then, come back here and let us know in the comments which cloud provider you chose and how it turned out for you.